The world's best racquet confesses evoking tears after losing the 2007 Wimbledon final, or ensuring that tennis will be over for him when he's "no longer happy with what I do. " 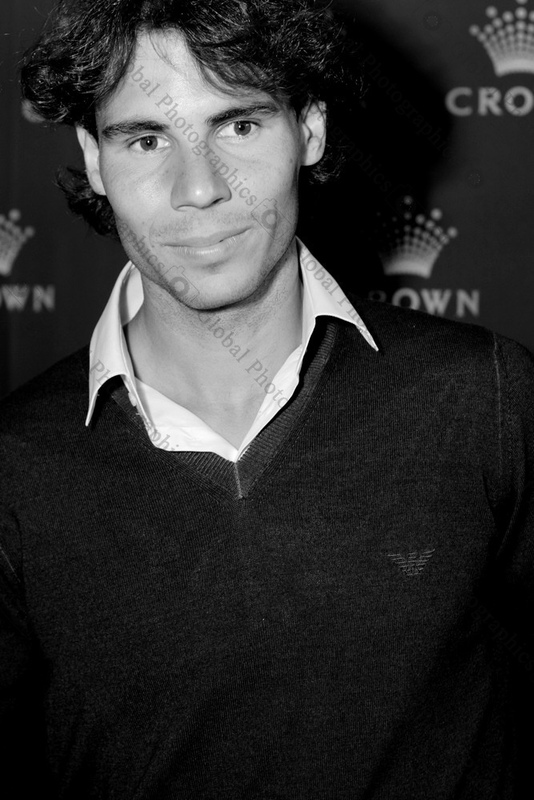 Rafael Nadal, world number one, undertakes in Melbourne the conquest of Australia Open, which he has already won two years ago after beating Swiss Roger Federer, who, while looking for his tenth Grand Slam title, it will also enable him to be the third man throughout history, after the legendary Australian Rod Laver and Don Budge American, to win the four ''major'' in a row. The Spanish tennis player, who began his tour of this year's first Grand Slam of the year, gave an exclusive interview with EFE at Melbourne Park, home of the competition. Question: This year has been particularly intense. Your holidays were reduced, and intensity has increased. The Masters of London, the exhibition games with Roger Federer and now here in Australia, back again. Answer: "Evidently, tennis, by the calendar, is this. It is a continuing journey. You can not assess that there will be a long stop. Two and a half weeks of rest is what you get. This year I could not stop to rest for recovery and start playing. If all goes well, after playing here I'll take a month to work more on tennis and physically. " AO comes with an added motivation. To make some more history with the conquest of the fourth consecutive Grand Slam. You always say that you don't think of these type of challenges. Don't you think, at this time to relax, with tranquility, in the possibility to achieve something beyond the reach of most of the greats of tennis? "The only thing I consider is to play well every day. Finding the proper sense to have a great tournament. I do not plan to win the fourth in a row because it is still far and is difficult to begin to evaluate this possibility. But you have to keep working day by day and only then I will be able to have a good tournament. " Australia Open and is already part of your winning list. It was yours two years ago. In this edition remembered for the epic match with Fernando Verdasco in the semis and Roger Federer's tears after losing the final to you. What feelings come back? What are your memories of that time? "This is a tournament that I have great memories from the first time I came and played against Lleyton Hewitt on Center Court. Then also when I played a year later, in 2005, also against Hewitt an intense match of five sets. And then, of course, the semi-final of 2009 that was a really nice match. The semifinal against Fernando Verdasco. We both played very well. Never in my life I've seen him play like that. And then the final against Federer, which ended dramatically. It's the memory of the victory that I had not ever expected to what it was until the final.. It ended with tears of Roger Federer. It was not a pleasant moment but it's part of the sport "
Have you ever cried after a loss? "Yes, Enough. Well, enough, either. The 2007 Wimbledon final, for example, I came to the dressing room and half an hour I was knackered. Luckily I got over it after "
How is Nadal after a loss? Need to be alone, isolate? Are you the typical one that becomes unbearable for a while? "No, no way. The truth is that I'm a tad sad but usually defeats don't effect me. In the mood, my way of being is not unbearable and I don't like being alone. If it is an important match, I'm a tad crumpled. But it is sport. Sometimes you win and other times you lose. " We know your opinion about the Golden Ball but wanted to know if after this, you have the feeling that Spanish athletes, especially team sports, especially football, have trouble being recognized outside of Spain. What take to achieve your high level? "No, I don't think so. The Spanish sports has a great recognition around the world and many countries have a healthy envy for us. It is clear that this was the right time for us to get a Golden Ball. I would have loved it to have it given to Xavi or Iniesta. Especially Xavi for his career. Iniesta seems like a expectational guy and great. But last year he was injured a lot. Messi is awesome, the best we have seen in recent times. You can not say anything against his prize. The only thing I wish it had been given to a Spaniard. But you can not criticize anything about Messi. " The issue of doping is threatening the Spanish sport lately. Threatened illustrious names of our sport. The feeling on the street, in many cases, especially, is a disappointment. As if they have lost an idol. Did you this happened to you? Was there an athlete from this than you thought or said "this blows ..."? "Until they check everything I don't like to get involved. Clearly it's a burden for Spain. Especially for the image of athletes of Spain. Something that hurts us all. It's disgusting, but I think that is what you get. And from there, all you can ask is that people take care to fix it because it harms the country's image. And in the end these things hurt us a little bit and make the athletes' image a tad worse. " We have discussed the intensity of each year. Constant coming and going. No rest. Have there been any time during these years where you thought or you presented a limit on your career, thinking,''a couple of years and and is already ...''? "I'm happy with what I do and I will stop when this won't be the case anymore. I feel extremely fortunate to live all I'm living. I appreciate what I have, which is much more than I ever dreamed in my life. From here, lasting however long it last I have to enjoy to the fullest. " Spanish tennis live a glorious era. But is there life in the Spanish tennis after this generation that you lead? "I do not know exactly. It is true that there doesn't seem to be the replacement. We trust the tradition in our country. I hope players and athletes come. There was talk of Carlos Boluda or Javier Martí. I do not know how they evolved. I hope we see them here soon. But we must wait and allow time for all. "